Bennett Puterbaugh is a third generation Californian, born in Pasadena. He graduated from Cal Poly Pomona with a Bachelor of Science degree in Landscape Architecture in 1980. 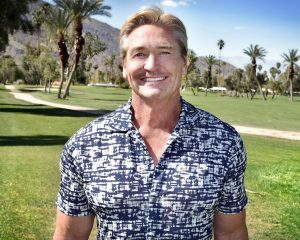 He moved to Palm Springs in 1982 where he established his full service Landscape Design Firm, Bennett Puterbaugh Inc.
Bennett’s philosophy in design is evident in his love of nature, plant material, and “hands on” approach in creating an exciting and usable outdoor living space. He is known for his ability to understand what a client is looking for, then deliver a unique and personal perspective that suits their lifestyle. Bennett Puterbaugh’s services include design, installation and maintenance to insure the integrity and consistency of the design from conception to completion.